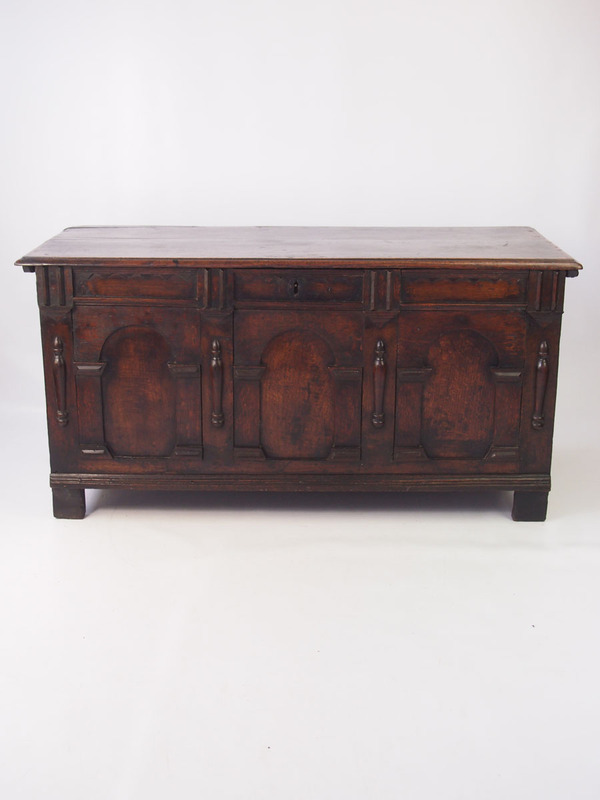 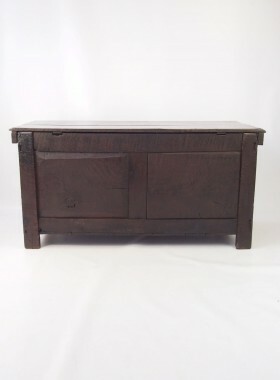 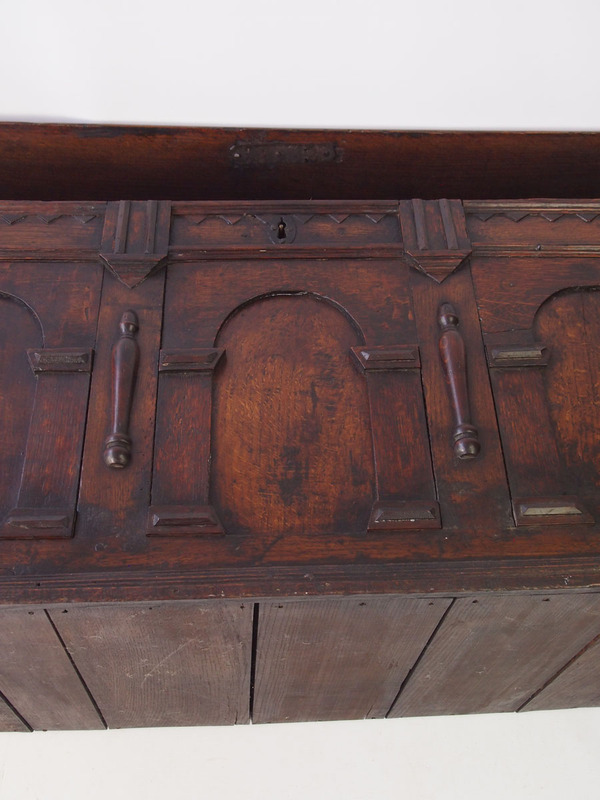 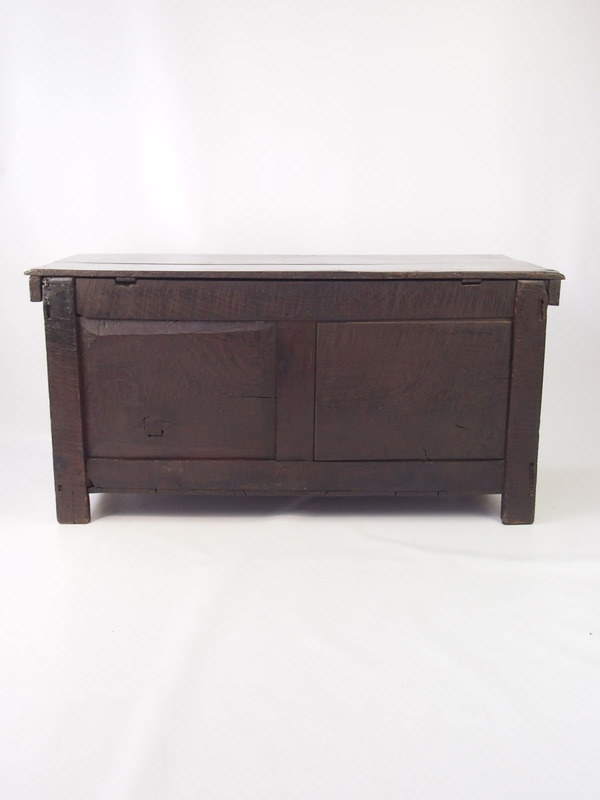 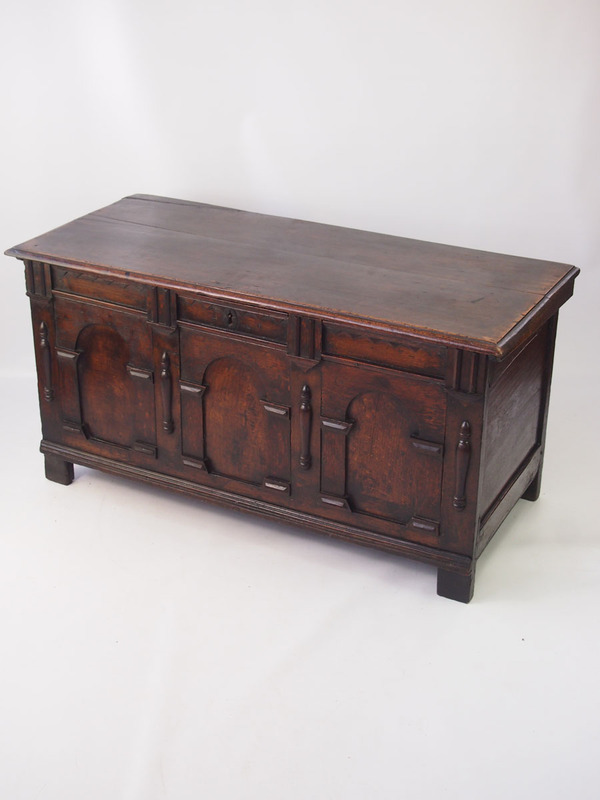 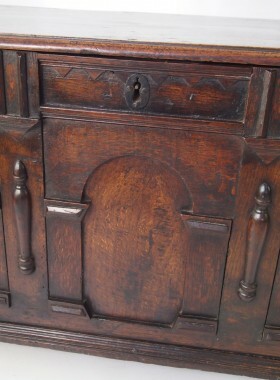 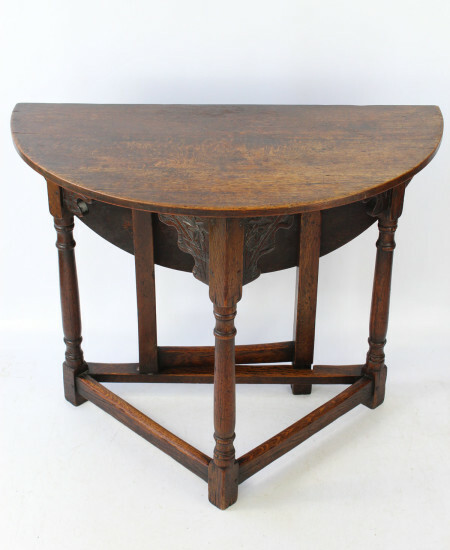 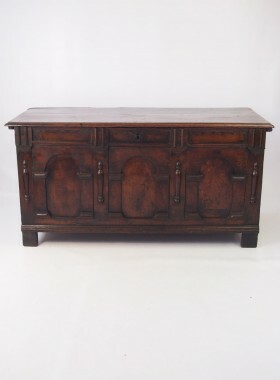 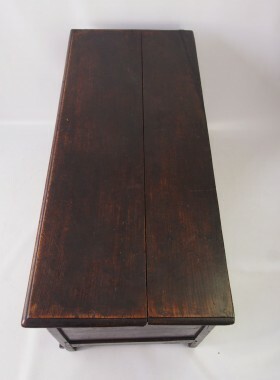 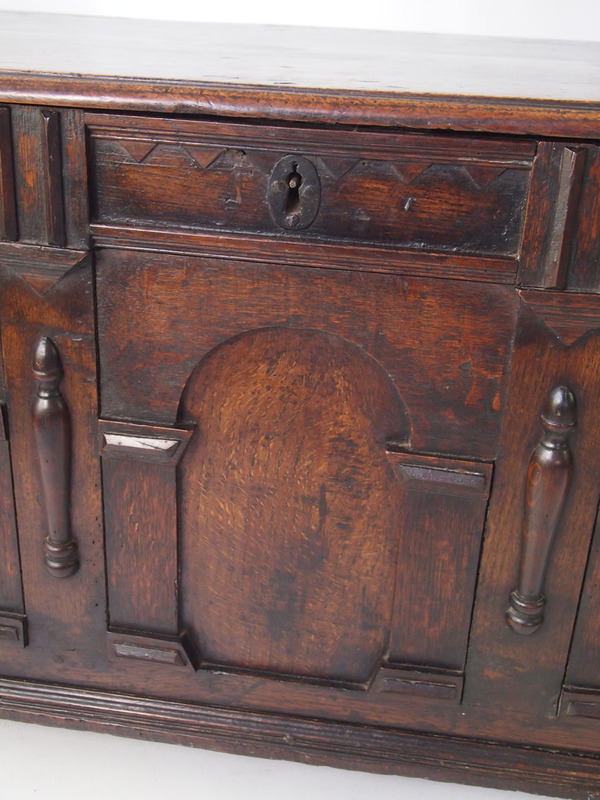 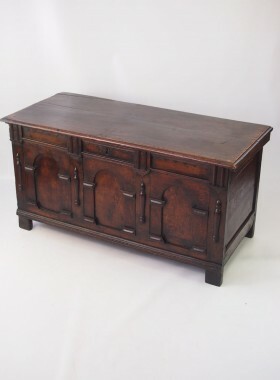 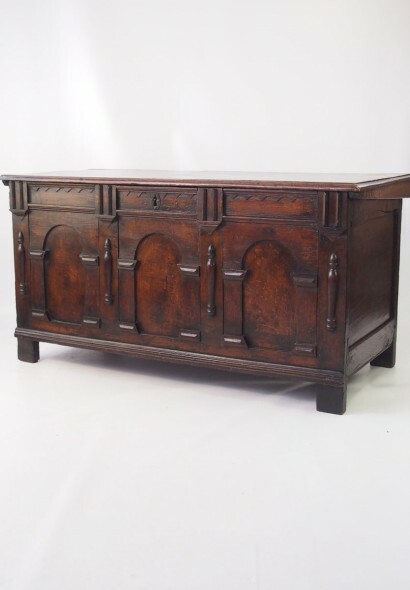 A good small sized antique Charles II period panelled oak coffer dating from circa 1670. 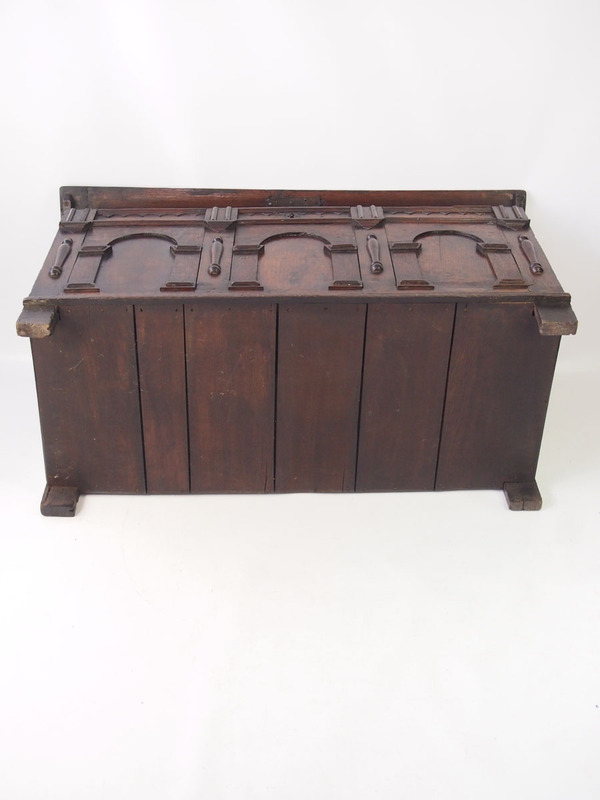 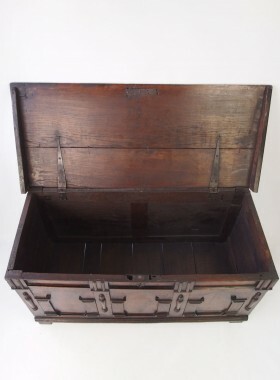 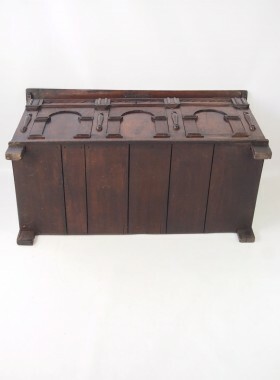 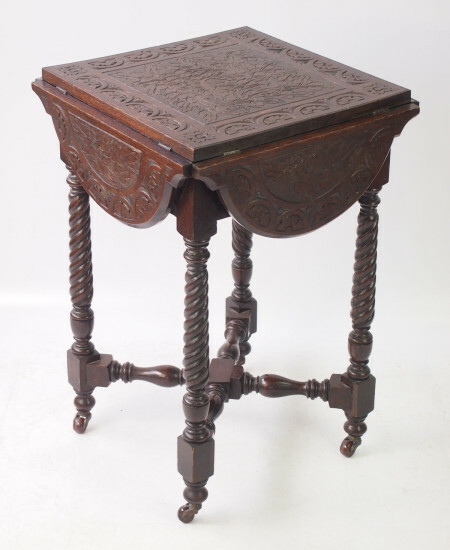 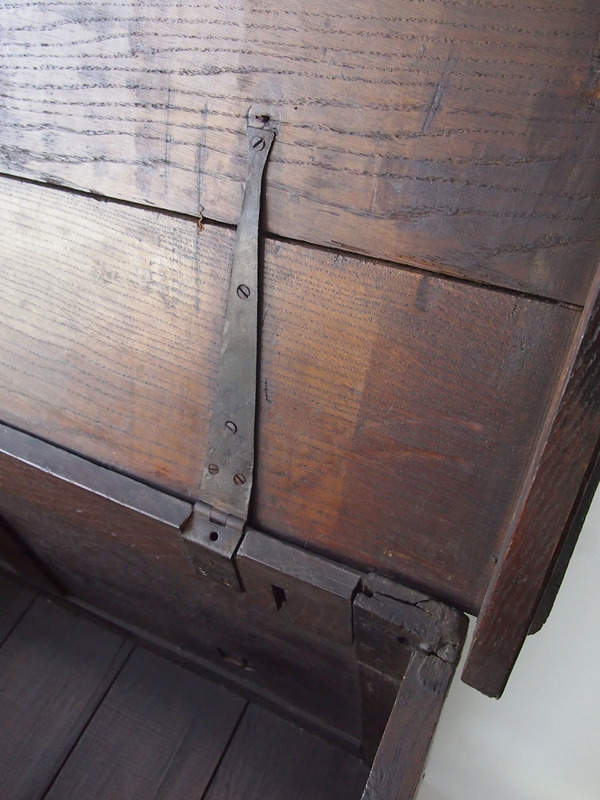 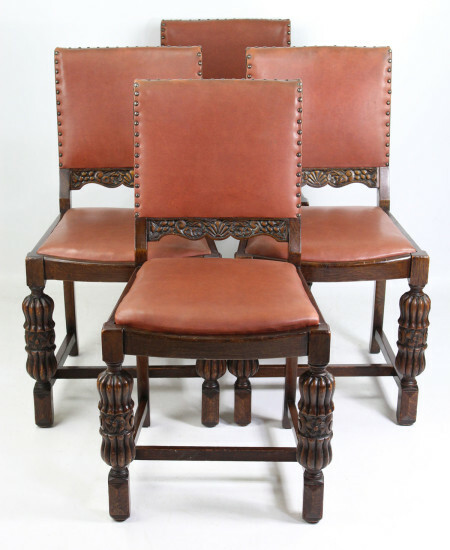 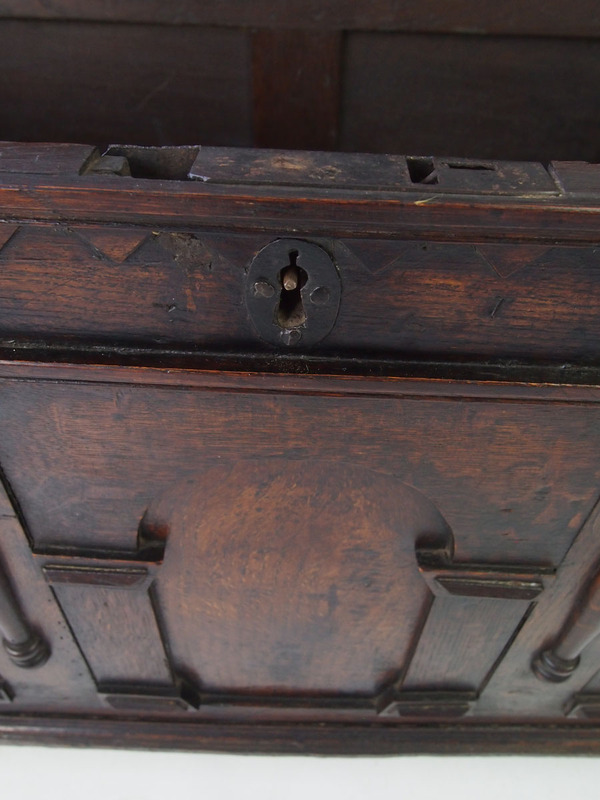 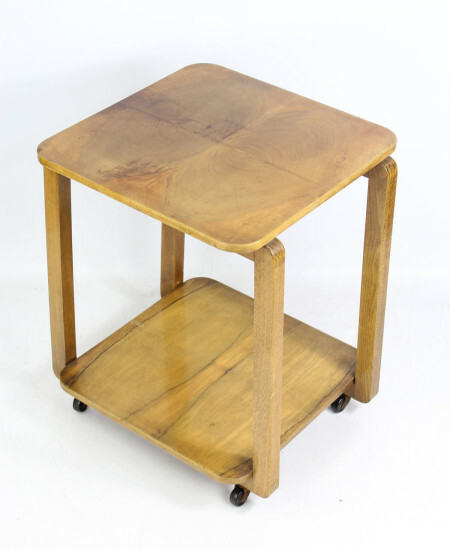 Categories: Antique Chests & Coffers, Antique Oak Furniture. 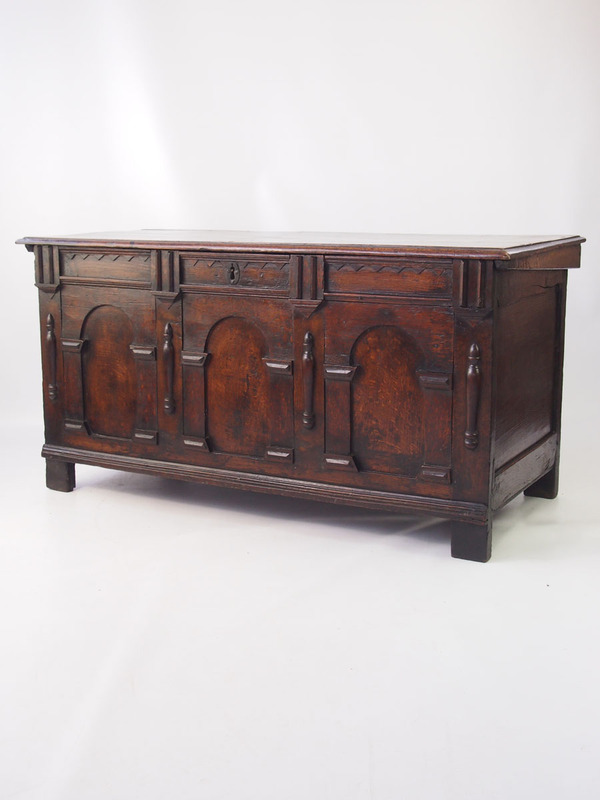 A good small sized antique Charles II period panelled oak coffer dating from circa 1670. 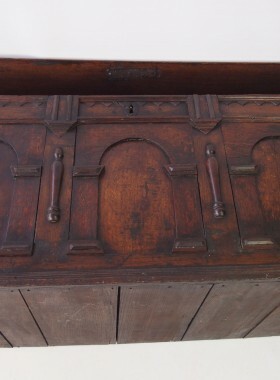 The moulded and boarded hinged top above a triple-panelled frieze and three arched panels separated by pilasters with split turnings and geometric cabochons on stiles. 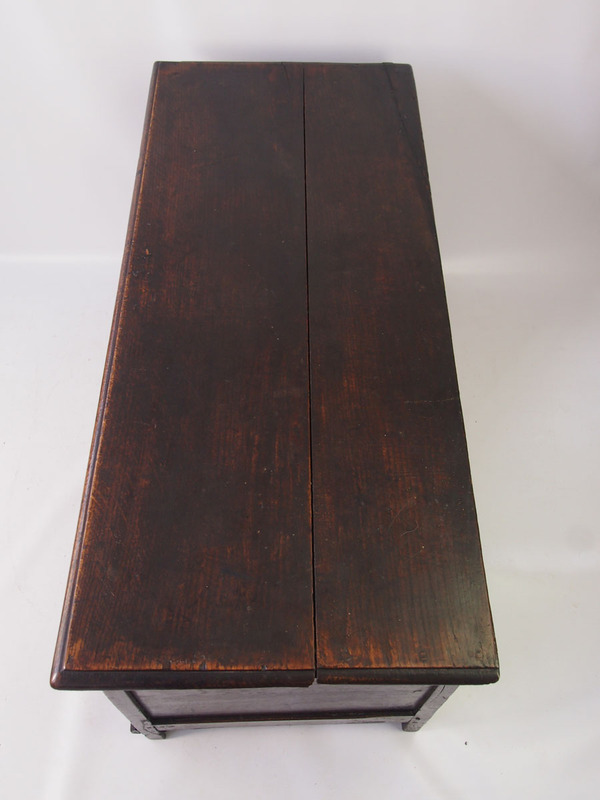 Good colour and patina and a good size at only 116cm wide. 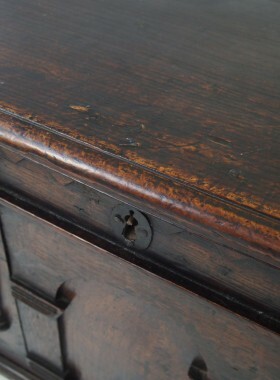 In original condition with good patina. Plenty of wear and marks commensurate with age. 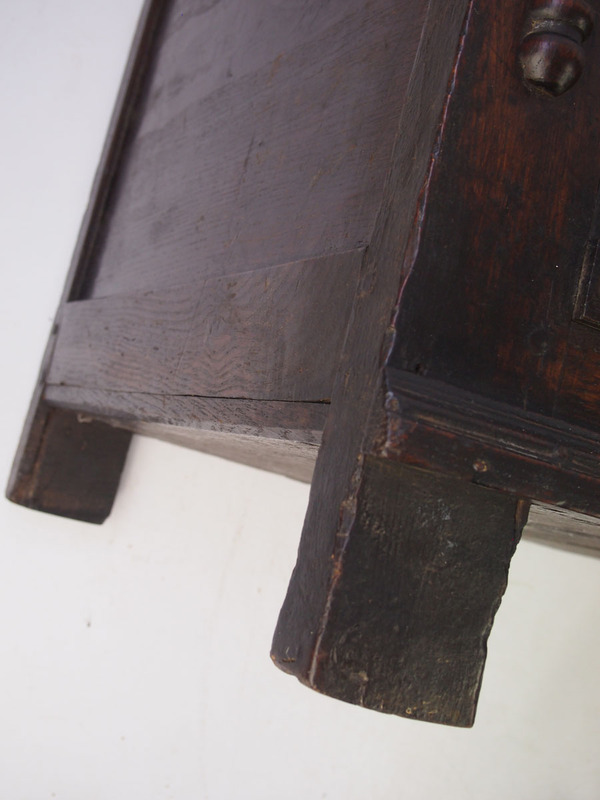 Some splits and old mends with small brackets to the inside. Baseboards have been professionally renewed at some point. 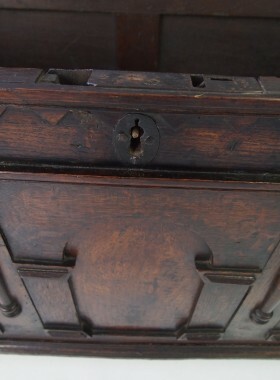 No candle box.